Ever heard of RFID reader? Actually, it is a device applied with a wireless non-contact system that using radio frequency electromagnetic field (EMF) to read/transfer info from a tag attached to an object. The tag used contains info that stored electronically (likes ID) and can be read by RFID reader. RFID reader is commonly used for automatic identification in door lock system (security), item pricing in hypermarket (inventory management), office (ID identification in personnel management), school (student ID card) and so on. In this tutorial, a project on creating a wireless RFID reader will be implemented. The model of RFID reader used here is RFID reader 232N (RFID-IDR-232N) which actually can be connected to PC directly through RS232 using the DB9 (Male) of its cable for sending tag’s IDs scanned to computer.Somehow, the establishment of a wireless RFID reader enable the RFID reader to be place a t a further distance from the PC since the cable length constraint is eliminated but still can sends the tag’s IDs scanned to PC through the wireless link. This consequently improve the RFID reader portability. The wireless module used in this project is XBee. In order to simplify the process of setting up the circuit of wireless RFID reader, XBee Starter Kit, SKXBEE (with XBee module) is used instead since it consists of onboard logic shifter that allow UART communication with 5V device while XBee is 3.3V device and RS232 chip combined USB port that allow direct communication between computer and XBee. Bascally, the concept of wireless RFID reader can be illustrated by the flow diagram below. As seen from Figure 1, the USB (Male) of RFID reader cable will be connected to 5V supply output of Breadboard Power Stick 5V 3v3 (BPS-5-3) through using a Breakout USB Type A Female (BB-USB-AR) so it will be power up when the wireless RFID reader circuit is turn on (by turn on the power adapter DC 12V connected to BPS-5-3). While, SKXBEE#1 (with XBee #1) is connected to PC with direct communication between them using USB cable. The RFID reader is also connected to wireless RFID circuit through Female RS232 cable and UART to RS232 converter (URS232A). The wireless RFID circuit contains SKXBEE# 2 (with XBee #2). **Since the RFID reader is a RS232 peripheral device that can interface with computer directly but not microcontroller or XBee in this case (since TTL UART is used), a level shifter circuit likes URS232A is needed. When the ready connected circuit is power up, pre-configured XBee#1 and XBee#2 will associate with each other to establish wireless link for communication. Also, the RFID reader is ready to scan the RFID card (which contains 10 digit ID stored electronically inside it). The ID info will be read by RFID reader, and then transmitted to XBEE#2 through URS232A. Next, through the wireless link, the ID info will be sent from XBee #2 to XBee #1. As the XBee #1 received the ID info, it will send it to hyperterminal of PC for displaying. Amazing, isn’t it? Well, let’s start!! SKXBEE driver, can download here. XCTU 5.2.7.5 Installer (Win XP, 2000, Vista and 7, 32-bit and 64-bit compatible), you can download under “attachment” here. RFID-IDR-232N user manual, can download here. SKXBEE Board USB driver installation guide, User manual and other related materials can be downloaded from Cytron Technologies, SKXBEE. XBee Series 1 datasheet, X-CTU Config & Test Guide and other related materials can be downloaded from Cytron Technologies, XBee Series 1. **Before proceed to next following sections, users are urged to read through related references, especially “Tutorial and Sample Project” and “Tutorial wireless Servo Contoller Using XBee” for better understanding on how to configure XBee modules and why configuration is needed so that they can be used for wireless communication in controlling your microcontroller circuit wirelessly through using a computer. Also, please read through the user manual of RFID-IDR-232N for better understanding on its working principle. Part I: Install USB Driver for SKXBEE. 1. Download SKXBEE USB driver installer. 2. Install the USB driver for SKXBEE by following the instructions stated in USB driver installation guide. Self address and destination address of XBee #1 are set to “1111” and “2222”. Self address and destination address of XBee #2 are set to “2222” and “1111”. 1. Download X-CTU installer which suits your computer system. 2. Extract the installer.zip file and double-click the .exe setup file in the extracted folder for X-CTU installation. 3. After the installation is completed, please do not launch the X-CTU software yet. Next, connect the SKXBEE#1 (with XBee#1) to PC using USB cable (Type B). 4. After that, launch the X-CTU software through the shortcut on Desktop. A window will appears as below. 5. Choose the USB Serial Port (COM26, in this case) and press the “Test/Query button”. Then, a window will pops up as below. 6. Click OK and then open the “Terminal” tab. The X-CTU Terminal window appears as shown below. **Each line of command will be response with a “OK” message if the command is entered in a correct way. 9. Close the X-CTU sofware and remove the SKXBEE #1 (with XBee #1) from PC. Connect SKXBEE #2 (with XBee #2) to PC and launch the X-CTU software again. **In this time, the USB Serial Port shown in the “COM” list is not COM26 (in this case) any more since different SKXBEE (SKXBEE#2) is connected to the PC. In this case, the USB Serial Port shown is “COM70” instead. Meaning: Setting destination address (or address of wireless device to be transmitted to) as “1111″ for transmitting purpose. 11. The configurations for communication for both XBees are done here. The completed command for configuring XBee #2 is shown by the window below. 1. Let’s start with some soldering works. 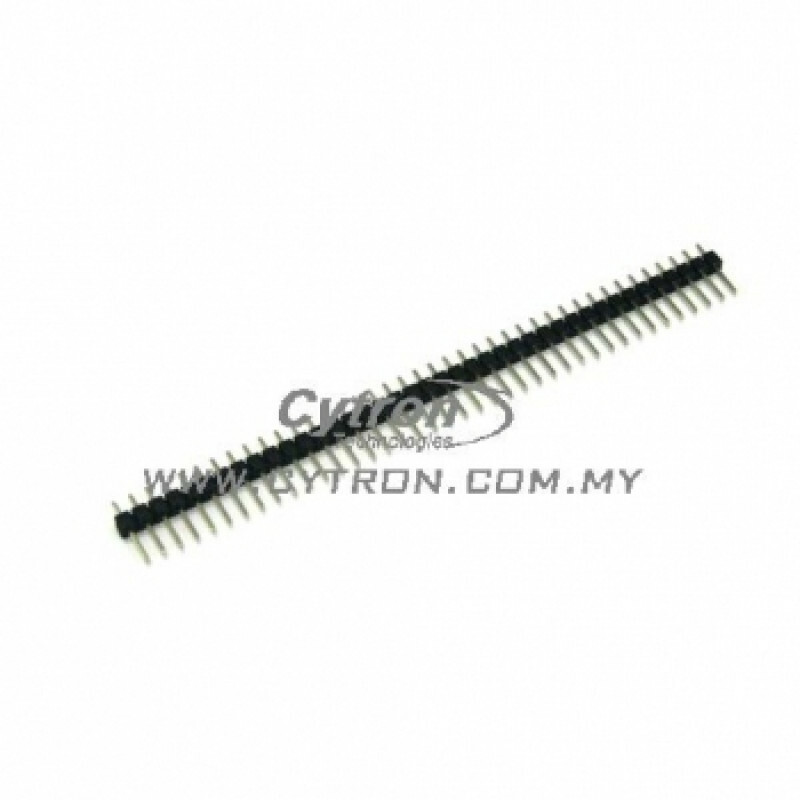 Cut part of 1 x 40 ways straight pin header (Male) into 1 X 5 ways pin header (Male) solder it on to the Break USB Type A Female (BB-USB-AR) as show below. 1. Plugin the Breadboard Power Stick (BPS-5-3), SKXBEE#2 (with XBee #2) and Breakout USB Type A Female (BB-USB-AR)onto the breadboard as shown below. **Breadboard Power Stick (BPS-5-3) is used to provide regulated 5v to power up SKXBEE#2 and URS232A. 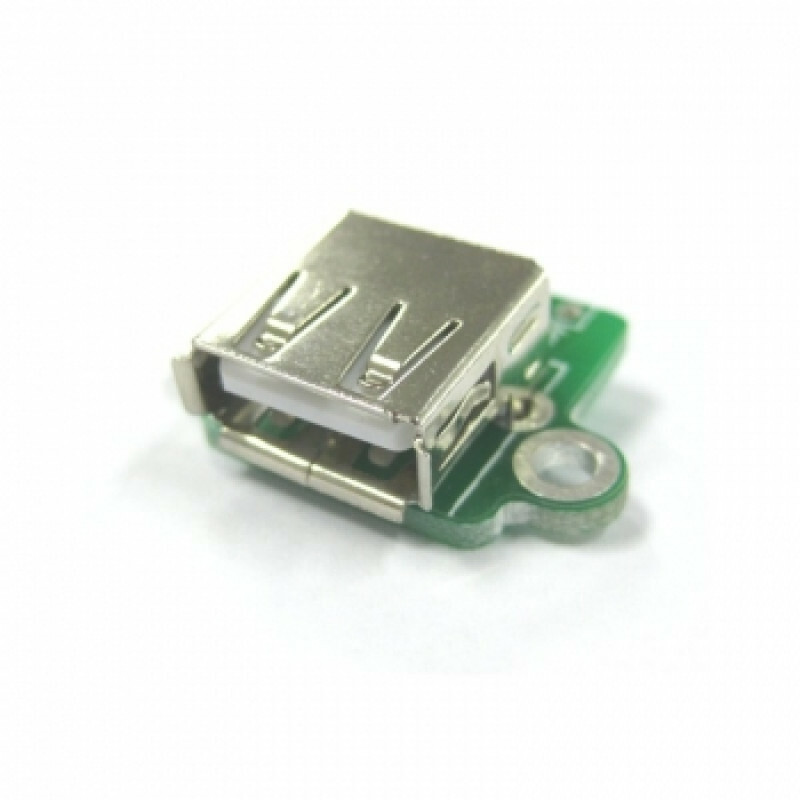 **Breakout USB Type A Female (BB-USB-AR) is used to extend the 5V supply from Breadboard Power Stick 5V s3V3 (BPS-5-3) to power RFID reader through the USB (Male) of its cable. 2. Based on the schematic in Figure 10 and the connections diagrams in Figure 11, complete the circuit of wireless RFID reader. 3. The completed circuit is shown in Figure 12 below. 4. Connect the SKXBEE#1 (with XBee#1) to PC. 5. Connect the power adapter Dc 12V to Breadboard Power Stick (BPS-5-3) so as to provide regulated 5v to power up SKXBEE#2 and URS232A. 1. Extract the downloaded HyperTerminal zip.file. 2. In the extracted folder, double click the hypertrm.exe to launch the software. 3. Enter name for the new connection (for example: XBee Connection) and click OK.
3. Choose the installed COM port for SKXBEE#1 from the “Connect using:” combo box (COM26 is choosen in this demonstration) and click OK.
4. Under the COM properties/Port setting, click the “Restore Defaults” button and click OK.
**The default baudrate of XBees used in this project is 9600 bps. 6. After the new connection has been finished set up, the XBee#1 of SKXBEE#1 will be called automatically for connection. 7. Now, user can try to scan the RFID card with the RFID reader as shown below. **At the moment the RFID card scanned by the RFID reader, the RFID reader will emits a beep sound. The indicator of RFID will turns into green light a while and turns back to red light as default. 8. The RFID card ID will be displayed in the hyperterminal as shown in Figure 15 below in which the ID displayed conforms to the ID of RFID card used in this demonstration. **As seen from Figure 14, the ID info displayed in hyperterminal contains strange icon before the first digit and after the last digit of the ID. Actually, this is not a strange phenomenon as it is related to the protocol of RFID reader (RFID-IDR-232N) used in this project when sending the ID info which have been read from RFID card. The RFID-IDR-232N will sends ID read with 1 byte of “start of heading” (0x01), followed by 10 bytes of ASCII character (ID) and a byte of “start of text “(0x02). Hence, when the byte 0x01 (start of heading) is printed as ASCII, an icon looks like “white smiling face” will be printed while when the byte 0x02 (start of text) is printed as ASCII, an icon looks like “black smiling face” will be printed instead. 9. The project of wireless RFID reader is considered done here. Users are encouraged to develop further on wireless RFID reader so as to extends its use in other fields. Thanks for reading this tutorial. See ya!! Demo the wireless communication distance for RFBee, both 433MHz and 434MHz, outdoor and indoor. Have you ever wish to build a simple mobile robot that can be controlled by a wireless PS2 controller? Thinking it too difficult for you? Think about it again. It’s actually easy and straight forward to build. In this tutorial, I will help you to build the robot step by step. Ever think to create a wireless servo controller to control movement of servo motor at a distance? If yes, this tutorial is totally applicable to you. In this tutorial, a wireless servo controller circuit will be established and a servo motor will be controlled wirelessly from a computer through a Servo Control Panel GUI provided by Cytron Technologies. Universal Asynchronous Receive/Transmit (UART) has becoming a popular item on sending and receiving data in the fast way. In here, we are going to experience on how to use UC00A to communicate with our computer/PC and SK40C. Hello everyone! In this tutorial, we are going to show you how to create a simple hello web server with ESP8266 WiFi module using Arduino IDE. Note**: In this tutorial, we assume you have already learnt how to setup ESP8266 WiFi module. If you don’t know how to, please refer to this tutorial. MiFare is a contactless smart card system which is being trademark by NXP Semiconductors. With MiFare reader/writer, useful information can be either read from or written into MiFare cards which will then be used in applications like electronic wallet, access control, corporate ID cards, transportation and so on. This project main purpose is used a joystick to control the direction moving of Three Transwheel Flexibot with wireless communicate method. In this project, we have used SK40C (40 pins PIC Starter Kit), PIC16F877A, 2×16 LCD, small Joystick, two SKXBEE Pro, Flexibot (Cytron DIY project PR19), breadboard, 12V LIPO battery or 12VDc adapter and some wires. The XBee and XBee Pro have UART interface and can be connected directly from microcontroller to pins of RF Module (XBee/XBee Pro). Using UART interface, we can use this wireless devices to communicate between microcontroller to microcontroller (two PICs) or between PC to microcontroller. Here, we will discuss how to use two XBee/XBee Pros to interface with microcontroller and how to send command for configuration XBee/XBee Pro Module. I need to contact someone in regards to setting up RFID with XBee. I would need to purchase units of it and assistance in setting up. I want to buy this RFID system hardware, can u please guide me whether it is compatible with the Labview 2009-2011 or not?. Labview can access to COM Port and this RFID reader is using COM port to transmit data, so they are compatible. 2-Is it possible to save received data in specific database such as Mysql ? How? 3- Do I have to use it with Xbee device or I can use with any Zigbee module ? I want to consult one question. I use RC522 and arduino uno and I want to use Xbee to transport the data to computer with wireless. How can I write my program? may I know XBee Starter Kit and SKXBEE (with XBee module) izit the same thing as this ->http://cytron.com.my/p-skxbee?